While traveling to Maryland this past weekend I had my first hot pumpkin spice latte of the season (because the other 2 I’ve had in airports over the last week were iced and that doesn’t really count, right?). 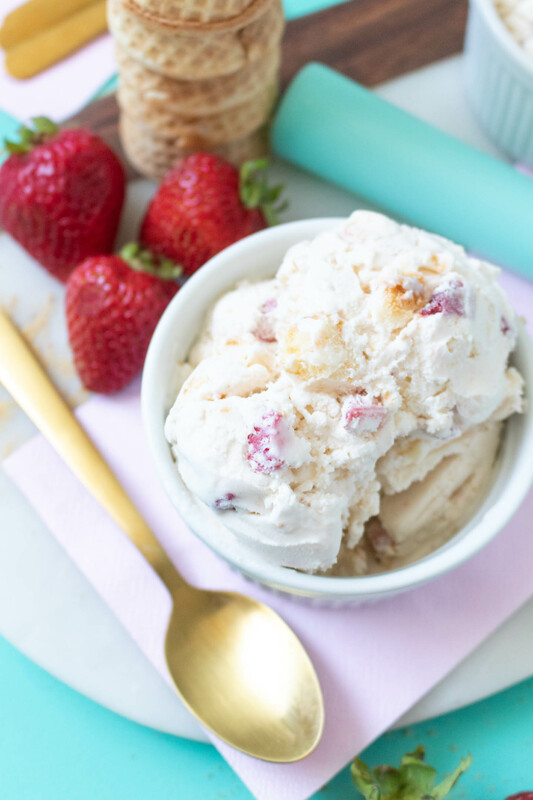 And with October just a couple days away, I’m thinking it’s time to finally start transitioning to fall—even though the temperatures are still hovering around 80 here in Los Angeles! Over the past few years, I’ve opted for faux pumpkins vs. real ones, though I love a good grouping of real pumpkins on the dining room table. The Florida humidity was just so bad that pumpkins, even uncarved, would rot in just a few days. 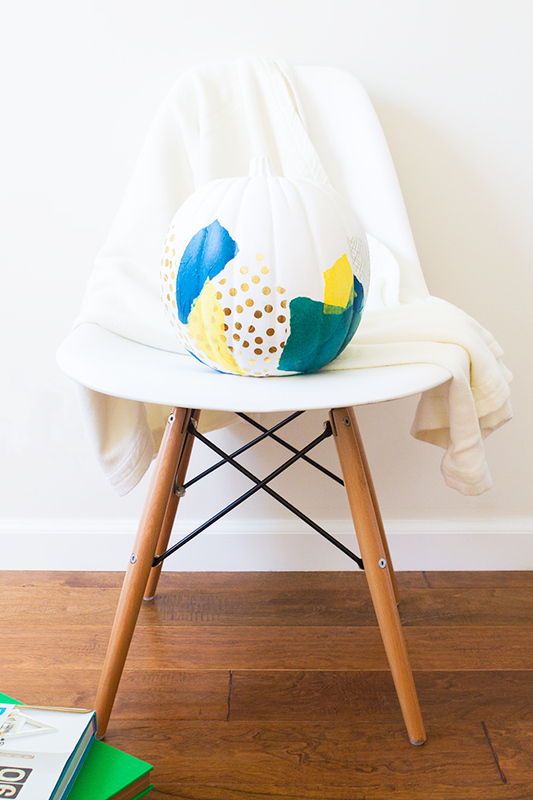 This year, I’ve created another no-carve pumpkin decorating DIY that will work on both faux and real pumpkins alike. This is a great way to use up tissue paper from gifts and any color palette goes. Because who says Halloween has to be all black and orange anyways? 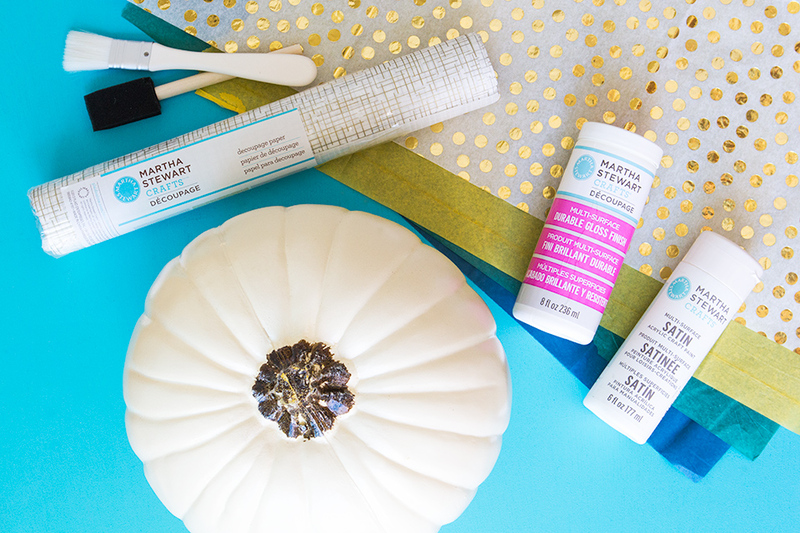 Paint your entire pumpkin white. This may take a couple coats. 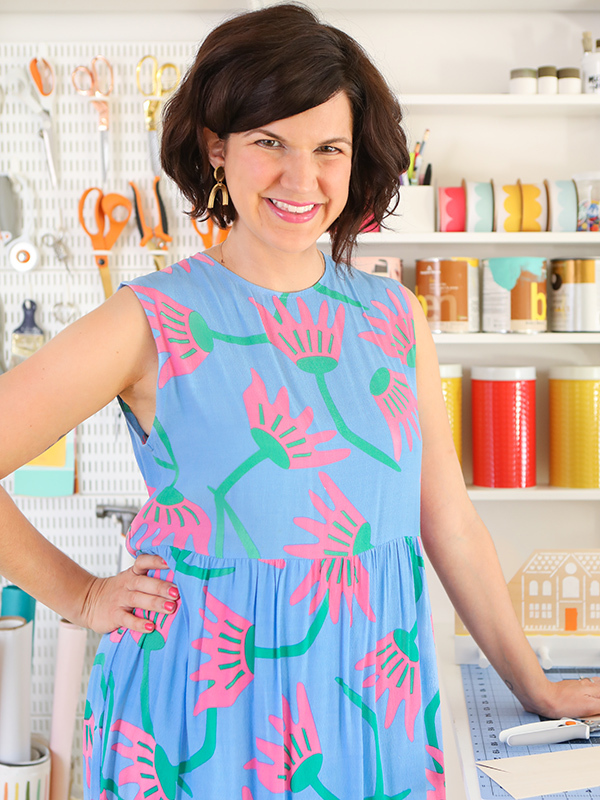 You can use a hair dryer to quickly dry the paint in between coats. 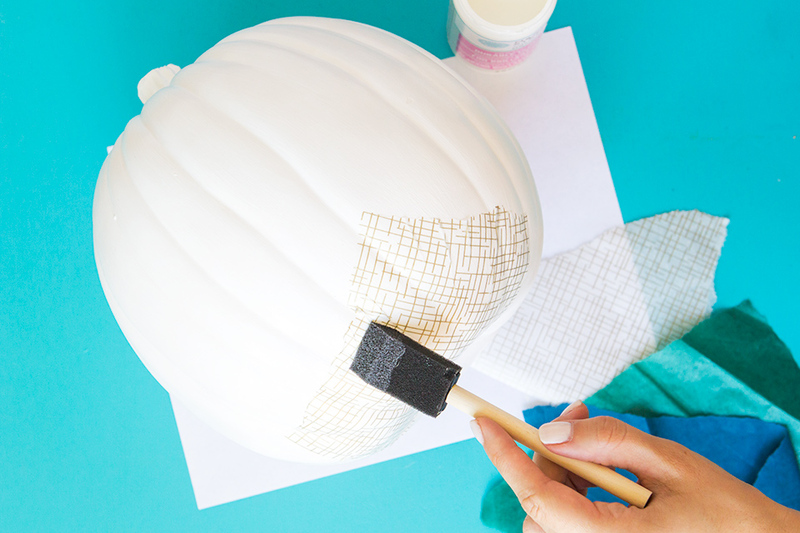 Working in sections, use the foam brush to a thin coat of decoupage medium onto the pumpkin. Then tear off a piece of tissue paper or decoupage paper and place it onto of the area you just painted. Then paint another coat of decoupage medium right on top of the paper. You may find it easiest to smooth out any wrinkles with your fingers. 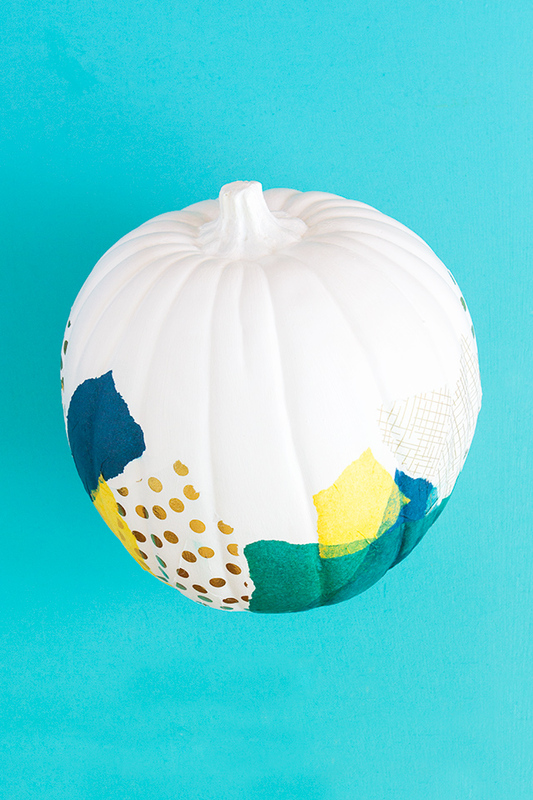 Continue working in small sections, layering the paper around the entire pumpkin. 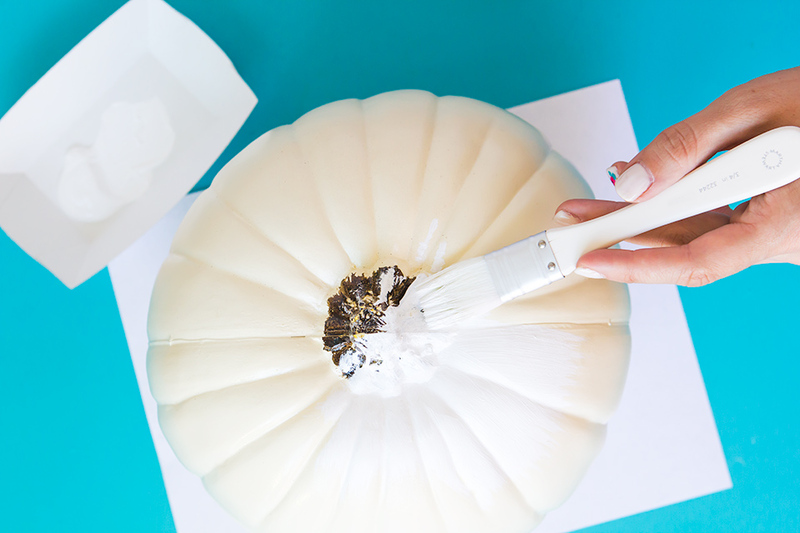 Once you’re done, allow it to dry completely and then paint the entire pumpkin with a final coat of decoupage medium. I found that some tissue papers bleed a lot when you paint the decoupage medium on top. When this happened, I applied the medium using separate disposable foam makeup wedges for each color. This helped prevent the colors from bleeding onto the white areas of the pumpkin. 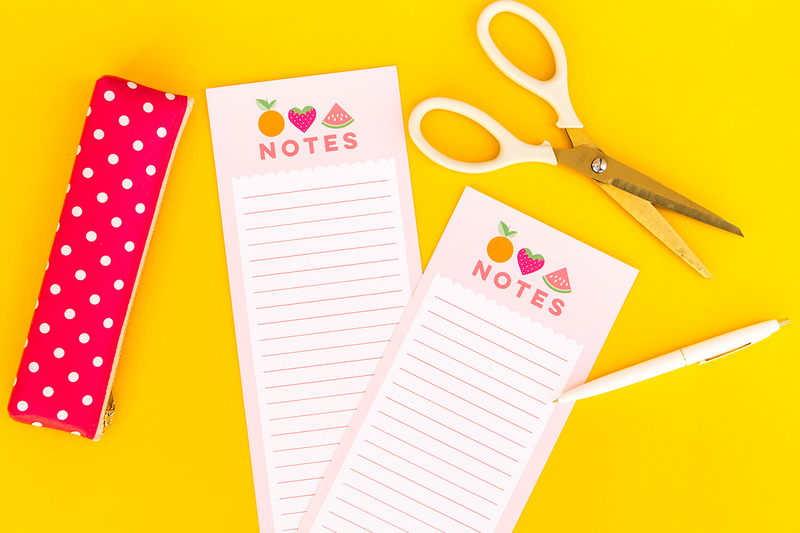 Each month, I create a new project using Martha Stewart craft supplies. Check out what I’ve created this year! And find more fall and Halloween ideas over on my Halloween page! This is honestly, as cute as could be! Pinned. This is the cutest! I Love the colors you chose. so in love with how your pumpkin turned out!